Osage Nation Trial Court Judge Marvin Stepson arraigned Jeremy and Tyler Reece by telephone this morning in court chambers. The brothers are charged with first-degree homicide for the slaying of Pawhuska resident Rick Holt. Jones asked Stepson for telephone arraignment. Stepson said that it was not unheard of and that if the court had access to video conferencing equipment, that would have been used. Jeremy Reece, 31, and Tyler Reece, 19, are members of the Muscogee (Creek) Nation. Since they are Native American and Holt’s death occurred on restricted Indian land, the brothers fall under the Nation’s jurisdiction, according to the Major Crimes Act. Federal law prohibits tribes from imprisoning individuals for more than three years, according to the Tribal Law and Order Act of 2013, and limits tribal courts to misdemeanor charges in criminal cases. 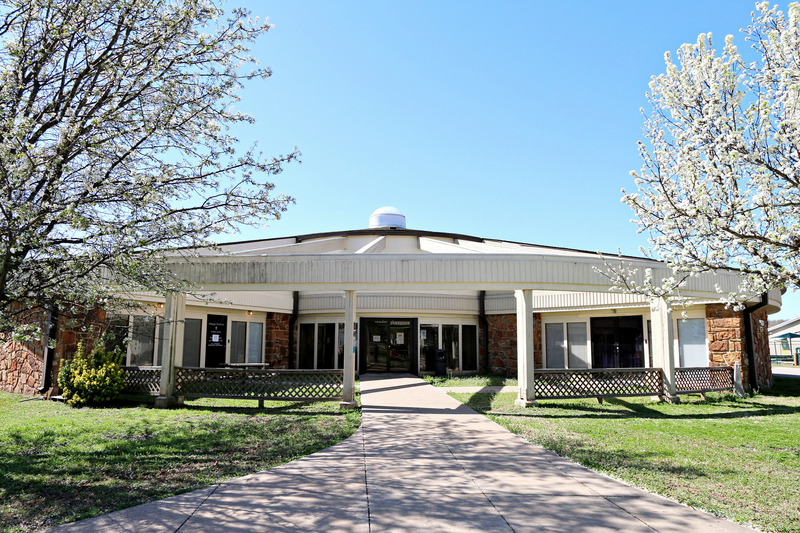 Osage Nation law permits up to one year of jail time. 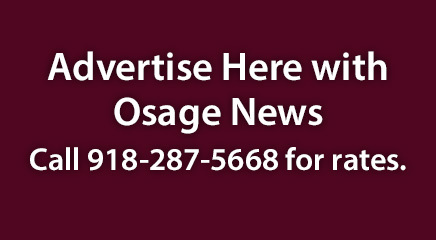 If convicted in ON trial court, the brothers could face up to a year in jail, a $5,000 fine or 20 years banishment from Osage Nation tribal lands. Stepson phoned the Sheriff’s Office at 10:30 a.m. On the other line were Chief Deputy Charlie Cartwright, other jail personnel and the defendants. Stepson read them their rights separately. In arraigning Jeremy Reece first, Stepson asked whether he was under the influence of drugs and alcohol, and Reece said no. Asked whether he was taking medications, Reece said he was taking two for seizures and one for anxiety. When asked about his education level, he said he had an associate’s degree in business. Stepson asked Tyler Reece the same questions. Reece said he was not under the influence of drugs or alcohol and was not taking medications. He said he had completed a year of college. The brothers said they would keep their legal counsel, Peter Astor, who has been representing them in State Court for the State of Oklahoma. However, the Osage Nation is a separate sovereign government, the Reece’s legal counsel cannot represent them in Osage Nation court without being licensed to practice in Osage Nation courts. Stepson said a not-guilty plea would be entered for them until the question of legal counsel had been clarified. The judge said he would consider all questions and whether or not the brothers request a jury or non-jury trial at their next court date scheduled July 28. The $1 million cash bond remains in effect for each of the brothers. Osage County District Attorney Rex Duncan filed a new charge of first-degree murder during the commission or attempted commission of first-degree burglary against the brothers in State Court yesterday. This will be the third attempt to bring state charges of first-degree murder against the brothers. Associate District Court Judge Stuart Tate and Mayes County District Judge Terry McBride dismissed prior charges of first-degree murder and desecration of a corpse, saying they believe the slaying occurred on restricted Indian land where Holt’s body was discovered. That gave the federal government jurisdiction. Under the Major Crimes Act, any major crime committed by Native Americans on restricted Indian land falls under federal jurisdiction. The brothers cannot be sentenced to death if convicted by the federal government. According to the amended complaint filed yesterday, the brothers allegedly shot Holt in the back with a 12-gauge shotgun when they were attempting to commit burglary on Holt’s property, which is not on restricted Indian land. The complaint alleges that the brothers forcibly removed Holt from his home at gunpoint and subsequently shot him on his property. The crime is punishable by life in prison, life in prison without parole or death. The brothers are still charged in State Court with conspiracy to commit murder, is punishable by up to 10 years in prison, a fine of up to $5,000 or both. Kidnapping is punishable by imprisonment for up to 20 years. The brothers’ attorneys are moving to dismiss the first-degree murder charge, according to court documents. Tate is scheduled to hear arguments on the amended complaint Aug. 1 at 9 a.m. at the Osage County courthouse in Pawhuska. The brothers are being held in the Osage County Jail without bond.